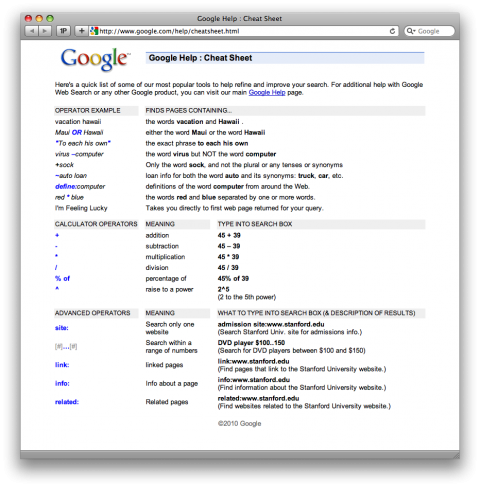 How handy is this Google Cheat Sheet!? Fantastic! This cheat sheet is long overdue! Over 10 years ago, I created a simliar web page explaining Boolean language to my ESL students. I’m happy to have this updated version to use as a reference. “To each his own”? ouch!